Alcatraz Island is located in San Francisco Bay, 1.25 miles offshore from San Francisco, California, United States and is home to the now closed Alcatraz Federal Penitentiary and the site of the oldest operating lighthouse on the West Coast of the United States. A sign outlining the rules for boats approaching Alcatraz when the island penitentiary was still in operation. 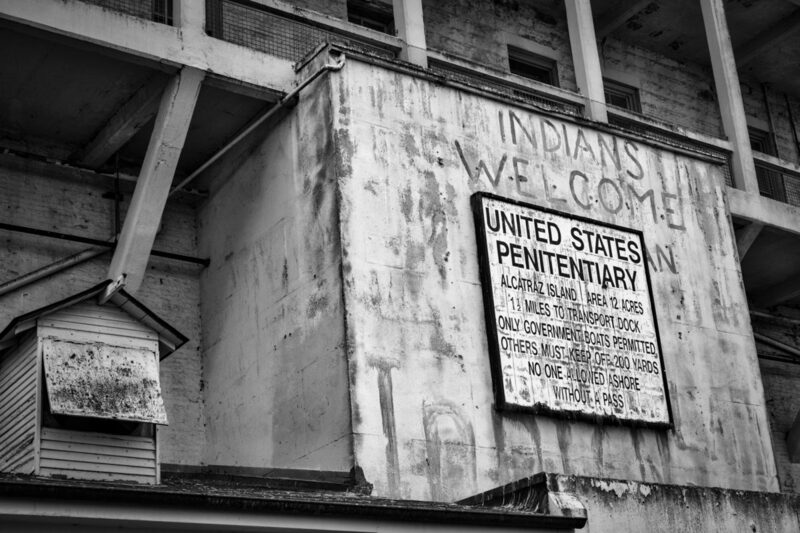 The "Indians Welcome" graffiti remains from the Occupation of Alcatraz. The occupation of Alcatraz Island by 89 American Indians and supporters, led by Richard Oakes, LaNada Means, and others lasted for nineteen months, from November 20, 1969, to June 11, 1971, and was forcibly ended by the U.S. government. The occupation had a brief but somewhat direct effect on federal Indian Termination policies, and established a precedent for Indian activism. The occupiers chose the name Indians of All Tribes (IOAT)and John Trudell was the spokesperson. According to the IOAT, under the Treaty of Fort Laramie (1868) between the U.S. and the Lakota, all retired, abandoned or out-of-use federal land was returned to the Native people who once occupied it. 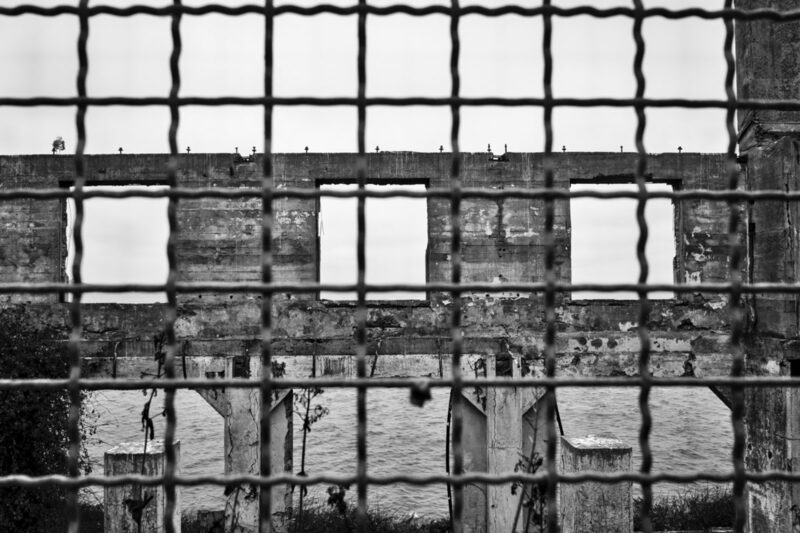 Since Alcatraz penitentiary had been closed on March 21, 1963, and the island had been declared surplus federal property in 1964, a number of Red Power activists felt the island qualified for a reclamation. 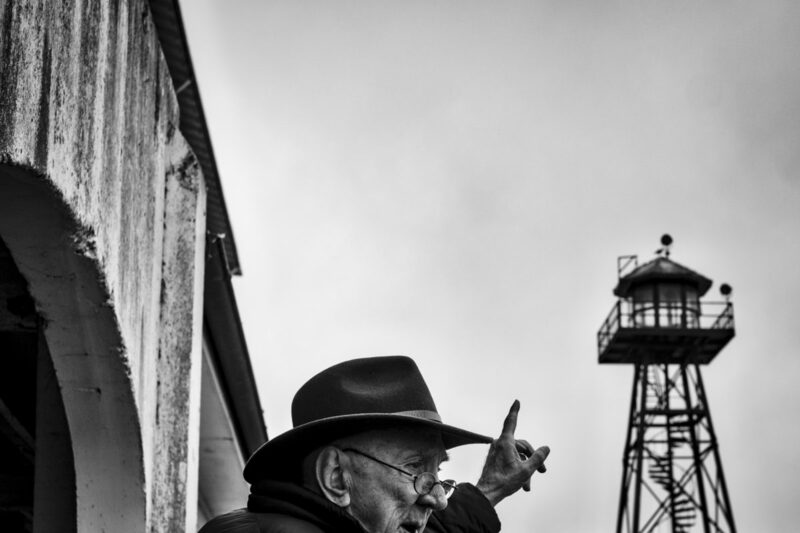 Former Alcatraz inmate, William G. Baker, inmate number 1259AZ, speaks to tourists as they arrive on the island for a tour of the former United States penitentiary. Baker was sent to jail for stealing a car in Portland, Ore., when he was 18. He was sent to Alcatraz for escaping from other prisons. A vestige of the Indian occupation in the coat of arms above the admin building's entrance still remains. The stripes in the stars-and-stripes flag part underneath the eagle's talons were altered to form the word “free” during the Indian Occupation. The occupation of Alcatraz Island by 89 American Indians and supporters, led by Richard Oakes, LaNada Means, and others lasted for nineteen months, from November 20, 1969, to June 11, 1971, and was forcibly ended by the U.S. government. The occupation had a brief but somewhat direct effect on federal Indian Termination policies, and established a precedent for Indian activism. 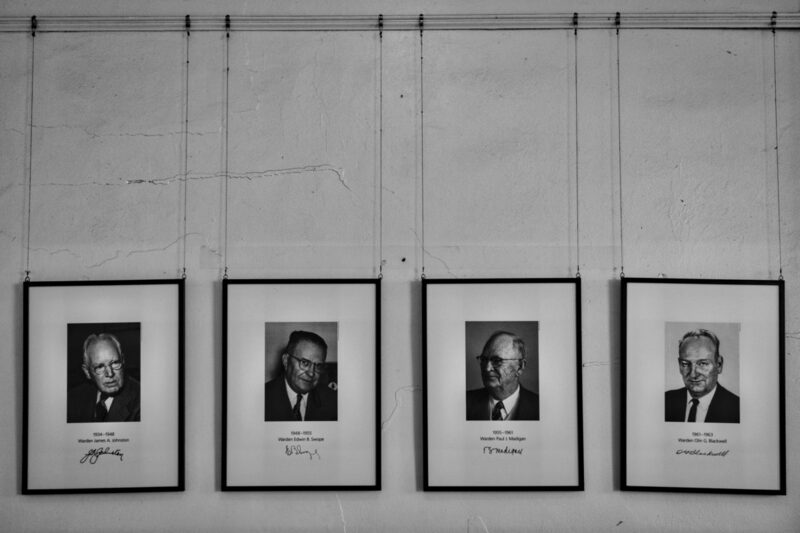 Photographs of the four wardens who oversaw inmates at Alcatraz. Remains of the building that served as the penitentiary social hall from 1934-1963. 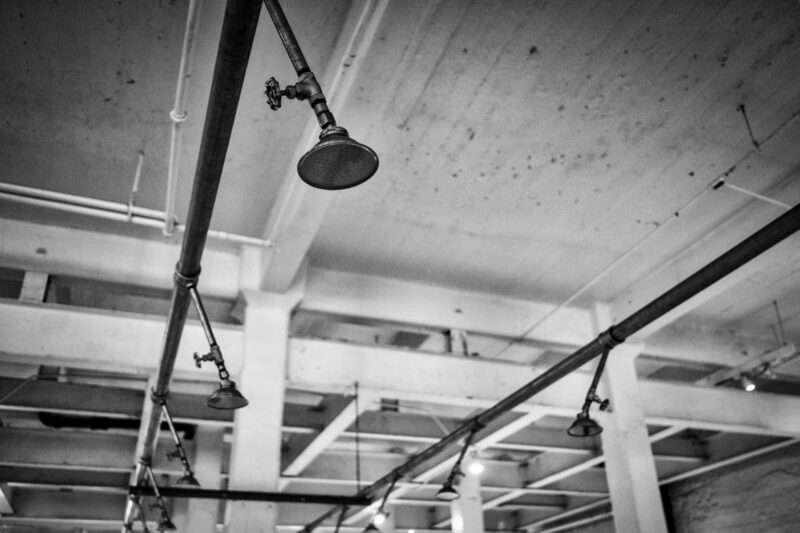 Prison shower room at Alcatraz. Michigan Avenue cellblock at Alcatraz. 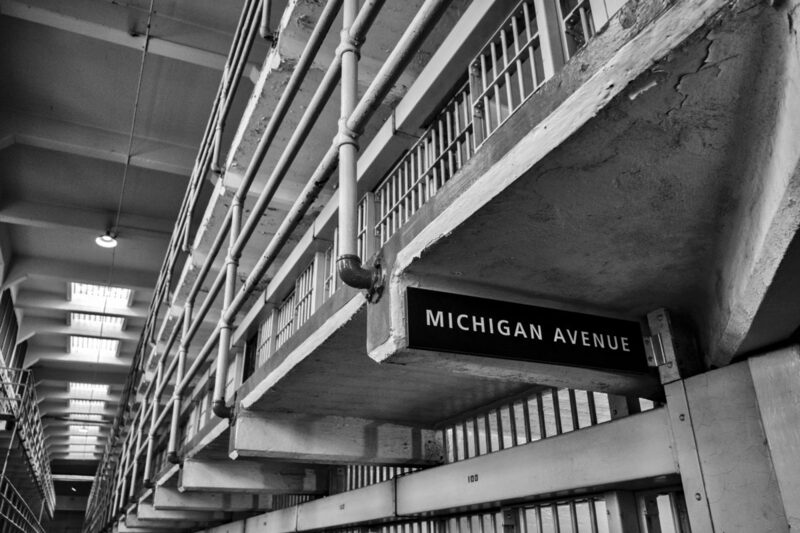 The corridors of the prison were named after major American streets such as Broadway and Michigan Avenue. Solitary confinement at Alcatraz Federal penitentiary. 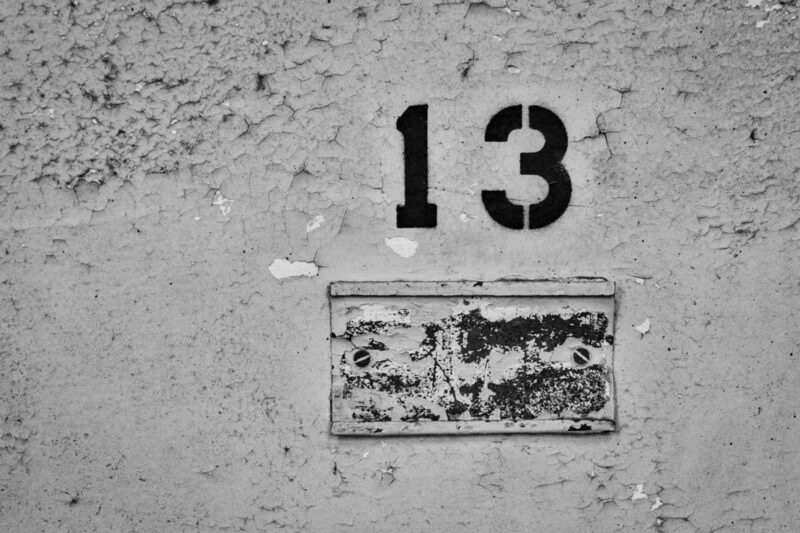 Nameplate on solitary confinement cell number 13 at Alcatraz. 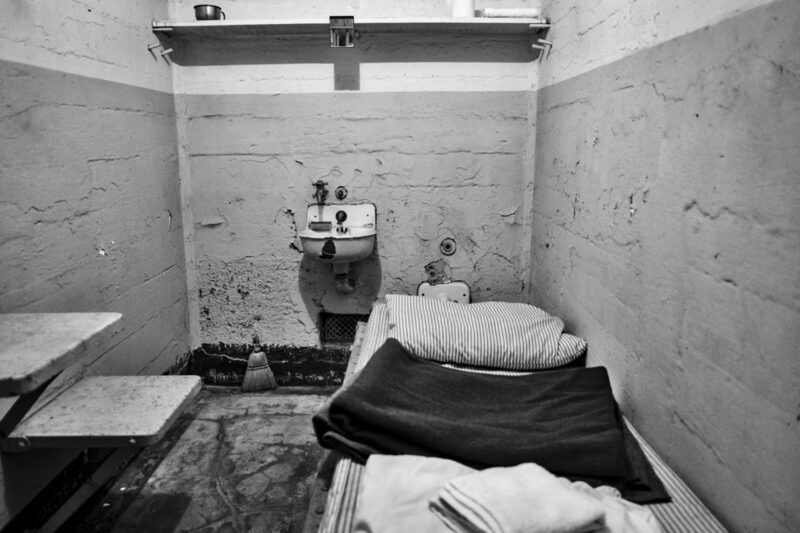 A cell inside Alcatraz Federal Penitentiary. 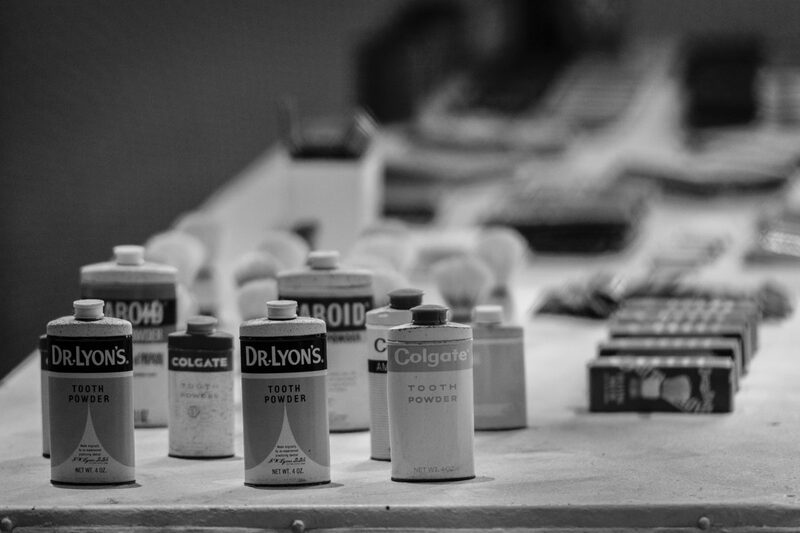 Personal supplies that were issued to prisoners at Alcatraz. 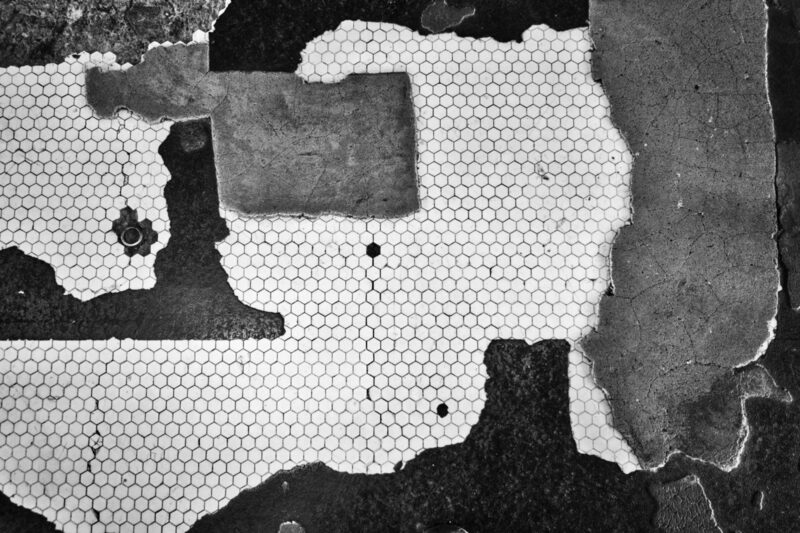 Layers floor are peeling away in the prison dining hall at Alcatraz, showing the original tile floor. 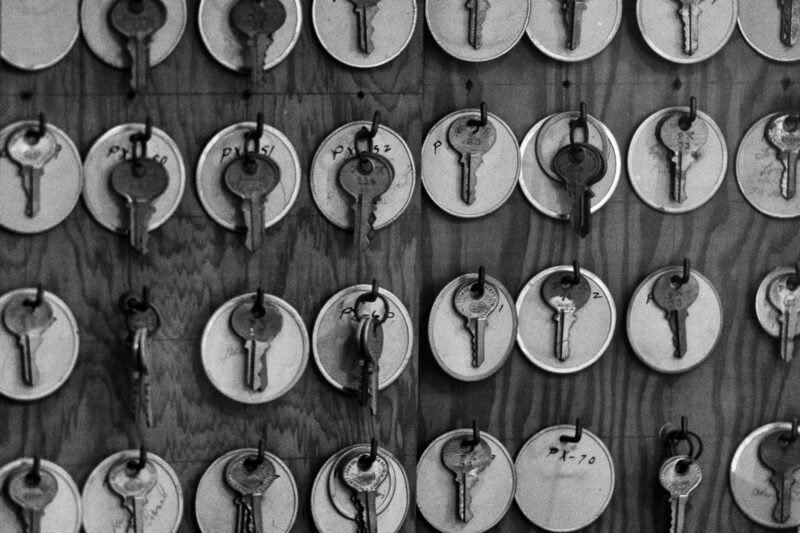 Keys hang in the prison control room at Alcatraz. 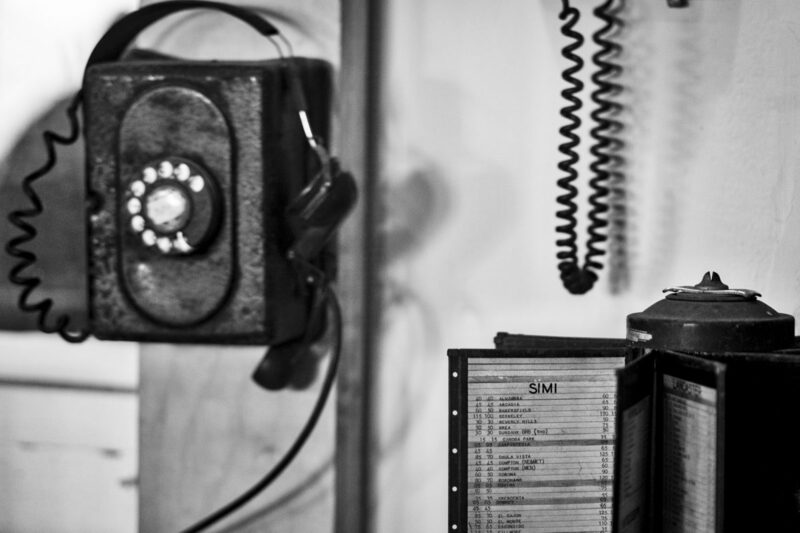 Prison control room at Alcatraz. 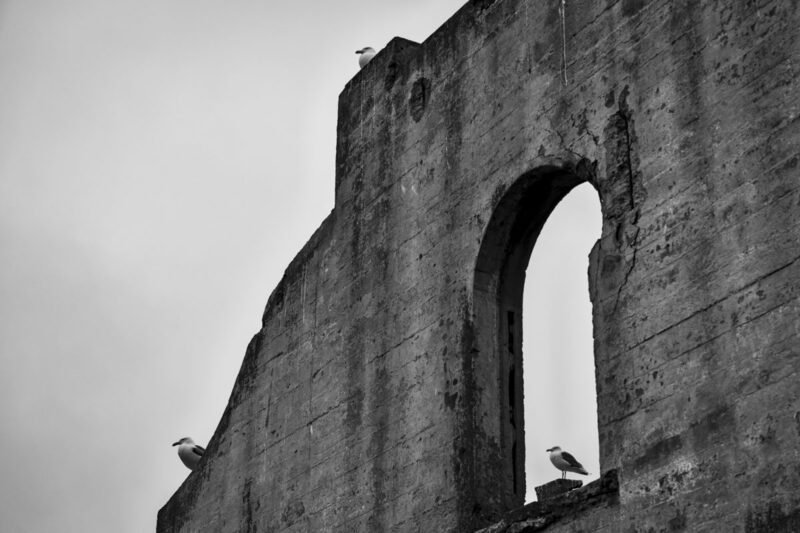 Seagulls perch on a decaying building on Alcatraz. Since the closing of the prison, it now hosts thousands of nesting gulls, cormorants, guillemots, and other sea birds. 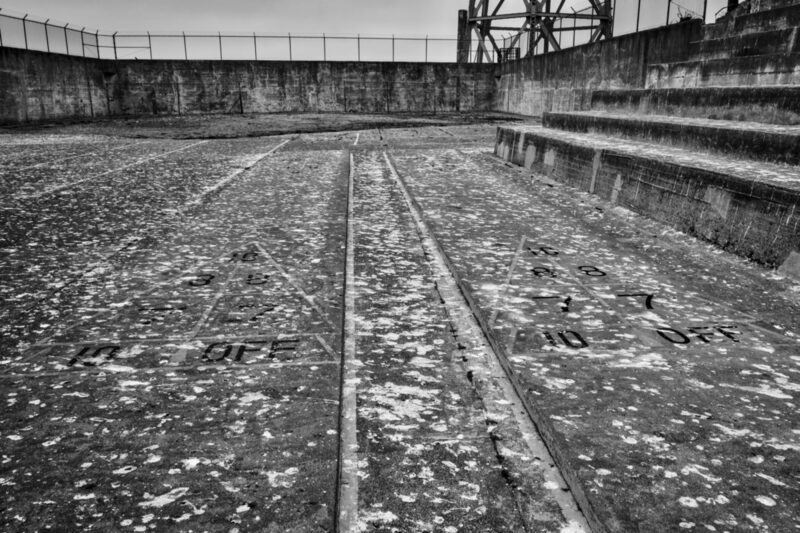 Bird droppings cover the former inmate recreation area at Alcatraz Federal Penitentiary. 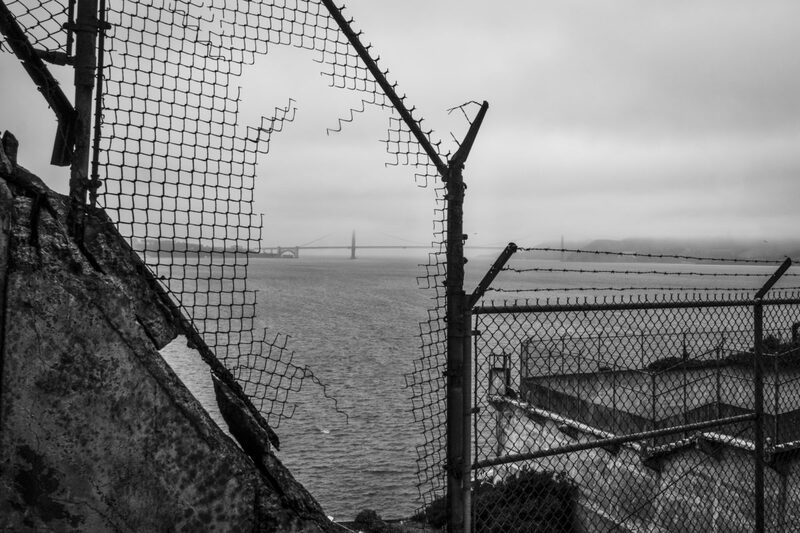 The Golden Gate Bridge can be seen in the distance from the inmate recreation area at Alcatraz Federal Penitentiary. 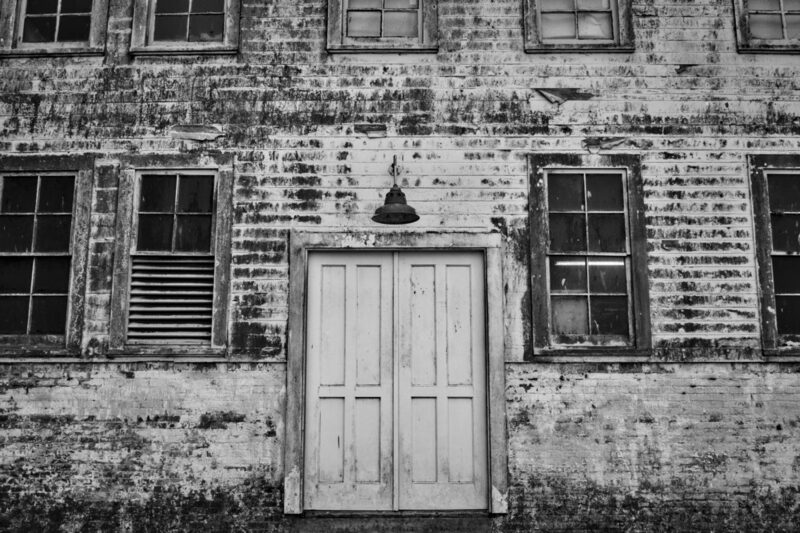 Alcatraz Island, located in the San Francisco Bay a little over a mile offshore from San Francisco, California, is home to the now closed Alcatraz Federal Penitentiary and the site of the oldest operating lighthouse on the West Coast of the United States. Used as a fort during the American Civil War (1861–1865) Alcatraz was the largest American fort west of the Mississippi River. In 1907, the U.S. Army removed the fort’s guns and formally designated Alcatraz as a military prison called the Pacific Branch, U.S. Disciplinary Barracks. 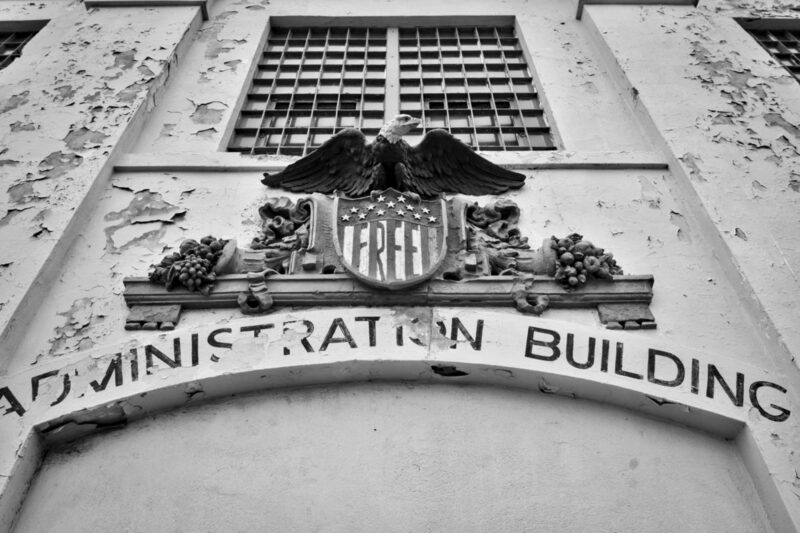 The prison was acquired by the US Department of Justice in 1933, and the island became a federal prison in August 1934. 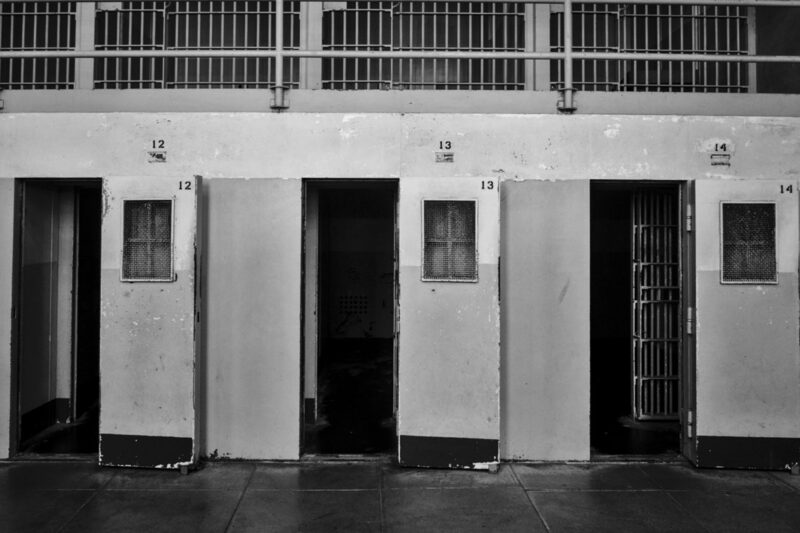 It was designed to hold prisoners who continuously caused trouble or escaped from other federal prisons. 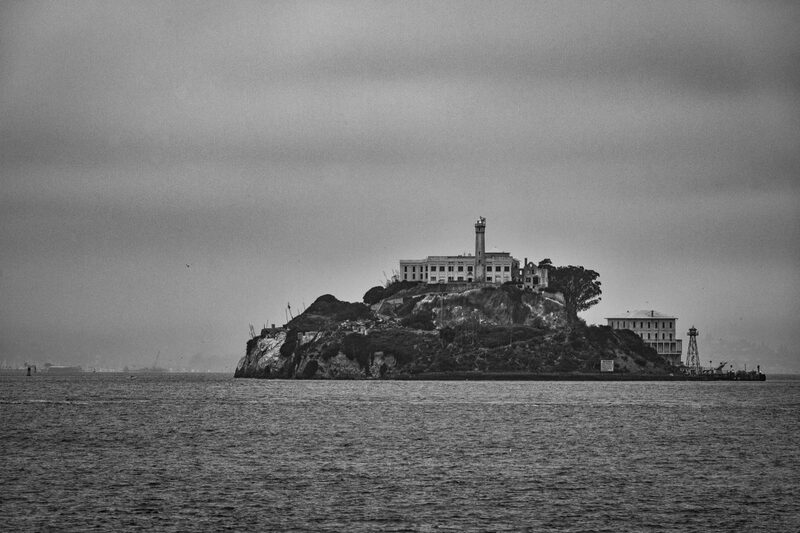 During the 29 years it was in use, the prison held criminals such as Al Capone, Robert Franklin Stroud (the “Birdman of Alcatraz”), George “Machine Gun” Kelly and Alvin “Creepy” Karpis – who served more time at Alcatraz than any other inmate. Closed in 1963, Alcatraz became part of a national recreation area in 1972 and received designation as a National Historic Landmark in 1986. Today, the island’s facilities are managed by the National Park Service as part of the Golden Gate National Recreation Area and open to tours.